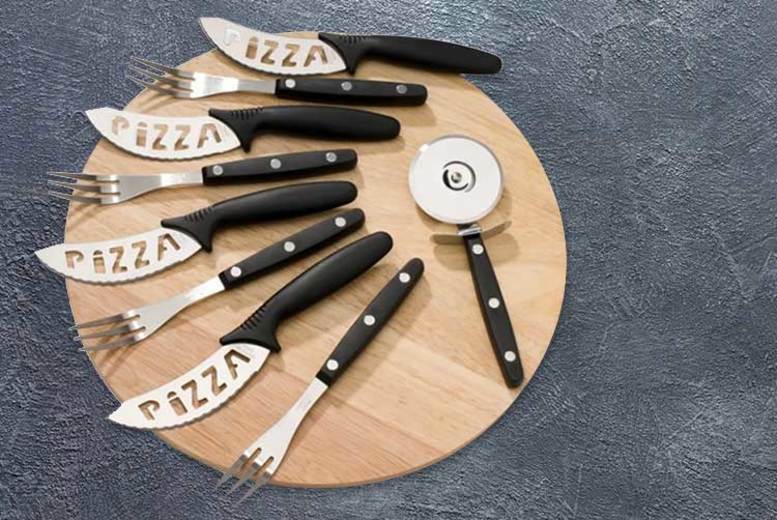 Make serving up pizza easy with a 10pc cuttings set! Includes a wooden board – diameter approx. 24.5cm. And a pizza roller cutter. Plus 4 pizza knives and 4 pizza folks! Serve up pizza the proper way!